Recognising the need for a coordinated plan to address all aspects of laboratory reconstruction in Sierra Leone, Dr. Isatta Wurie of the African Society for Laboratory Medicine (ASLM) and the Association of Public Health Laboratories (APHL) worked with the Ministry of Health and Sanitation to activate the National Laboratory Technical Working Group (LTWG) to develop laboratory system tools for effective outbreak response. Their aim was to define tools that articulate applications of systems required for the pre-analytical, analytical, and post-analytical laboratory process stages during an outbreak. The process for tool development included an integrated approach incorporating other outbreak pillars such as epidemiology, surveillance, and case management. The ownership and coordination of the health sector LTWG was a critical step in generating audit tools and using existing platforms such as the adapted SLIPTA and total quality systems management tools to monitor defined indicators. A key output was the logical sequential collation of the tools into a Laboratory Response Manual (LRM), which contains the readiness preparedness criteria and kits in a Traffic-Light Scoring System (TLSS). The combined tools support laboratory response to attain the shortest possible turnaround time for testing and reporting of results for efficient actions through prompt diagnosis and reduction of transmission by: 1) reducing patient time in holding centres; 2) improving case management; and 3) monitoring epidemic trends. Critical to achieving global health security is the inclusion of laboratory systems in public health decision-making processes toward an integrated disease surveillance and response (IDSR) strategy. The LRM will ensure a country is measuring and monitoring preparedness for potential biological threats according to the GHSA. The score card is divided into sections, each of which measures a certain aspect of the laboratory system, with emphasis on: political input; technical drivers, such as TWGs; bilateral relations; human resources needs; pathways for supply chain management, chain of custody, specimen transport, and cold chain; distribution and reach of laboratories; health and safety issues; quality management system requirements; data management; and use of research to support rapid response. The TLSS is a tool that can be used to motivate and facilitate countries to scale up laboratory systems not only for outbreak response, but also for ongoing assessment through laboratory-based surveillance. 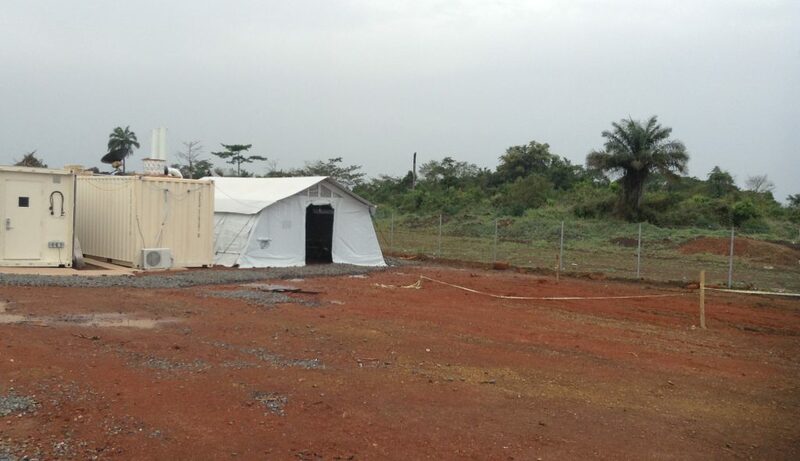 In Sierra Leone, the information generated through the use of the TLSS was beneficial in directing the response efforts and also in prioritising the needs of the laboratory system, which, Dr. Wurie stated, were overlooked in the initial Ebola response. Input from the Ministries of Health in Guinea and Liberia is currently being collated into a harmonised tool with country consensus. The tool will, however, be useful in many countries that have experienced outbreaks, and can be customised to ensure the information gathered is of the most value. Critical to the effectiveness and sustainability of the score card will be the development of a corresponding investment plan that will cost all of the kits, ensuring countries know the exact resources necessary for preparedness, and determining the restructuring or financial commitment necessary. This way, a country can be proactive in their planning for a responsive laboratory system, avoiding the delays seen as a result of the Ebola outbreak.